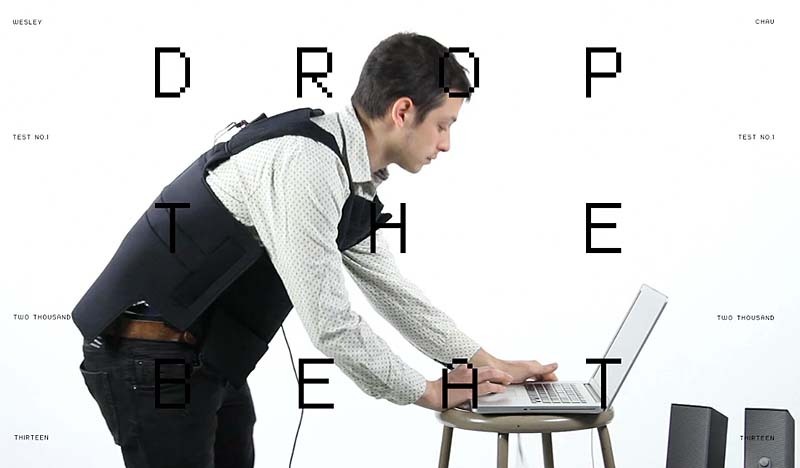 Drop the Beat is a wearable electronic drum set designed by RISD Senior industrial design student Wesley Chau. Inspired by Laurie Anderson’s concert film “Home of the Brave”, Chau aims to elevate the artist’s presence during live performance. 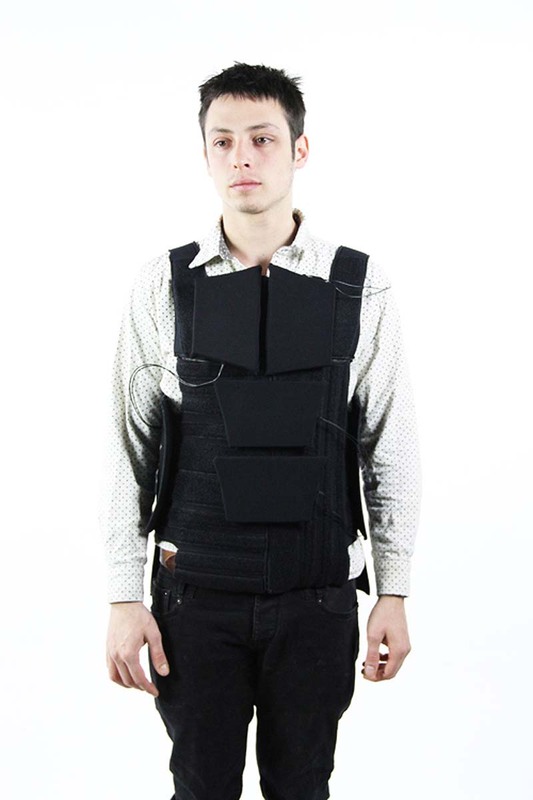 The neoprene vest gets velcroed with drum pads embedded with piezo sensors. 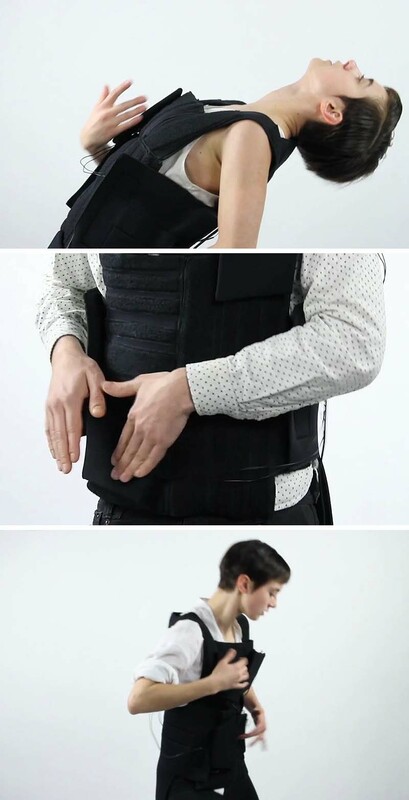 The result is a one-person band allowing for flexibility and movement. Fantastic! Make sure to watch the video above to see it in action. Check out Chau’s other designs on his site. I especially like this pill box. This entry was posted in Fun, Industrial Design, Music, Stuff We Like. Bookmark the permalink. Yes! I love that Laurie Anderson concert film! I remember very clearly her wearing those triggers. I also remember not long thereafter seeing a toy that was drum machine pads, but on arm and leg bands. Always regretted not buying that toy, and I never saw it again. Now Wesley has re-invented it!